Won the Old Roan Chase at Aintree on his first start of the season in gamely style, and could follow that up here. Was fifth in the Ryanair at Prestbury Park earlier in the season, and will now have to negotiate with top weight. Bryony Frost is aboard, however she rode out her claim at Kempton the other day. In stunning form, only one of three course and distance winners in the field - his success coming at the festival eight months ago, in the Close Brothers Handicap Chase. Won a valuable listed contest at Carlisle a fortnight ago, and that stands him in good stead here for further progression. Will be in the frame. A gutsy and game performance, when not reaching Frodon in the Old Roan at Aintree at the end of last month. Fourth on his seasonal reappearance behind Beggar's Wishes at Newton Abbot. 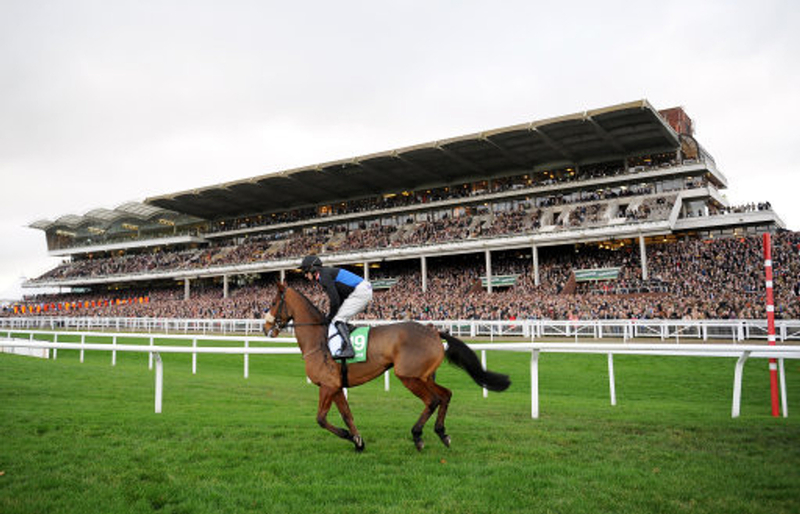 Will come on for that run, and will look to return to his peak, which he used to his initiative when landing a career best in the Grade 2 Mitie Noel Novices Chase at Ascot last December. Each way claims. Excellent second to Mister Whitaker in the Close Brothers here back in March, and was only beaten by a head. If kept on a straight line that day, the result may have been different, but definitely cannot be ruled out, and should be prominent in the market. A strong contender; fell on his most recent racecourse outing at Galway, where Henry De Bromhead's Sub Lieutenant landed the spoils. Aside from that mistake, he is ever reliable, and always seems to run into a place. Chances. Close second to Charbel at Chepstow last month. Can better that effort here, having been off the track for a long time. Finished a decent second at the Festival last year behind Road To Respect in the Brown Advisory Plate, who has since gone on to bigger and better things. In fact, that winner won the Grade 1 Champion Chase at Down Royal the other day, and has some strong form in the book. In with a shout. Sixth here last month behind Relentless Dreamer over much further. Cannot be a positive, and others have better profiles. Not a consistent type, and to make the frame would be a surprise. Related to top-class hurdle/chase winner Thistlecrack, but has never replicated his brother's excellent form. Was a good third in a handicap chase round here last month, and his name is always in the hat. A case of how many more chances can you get, but can boost trainer's outstanding record of late if producing a career best. Won this contest last year at odds of 25/1, beating the soon ill-fated Starchitect by no further than a neck. Has had mixed results since then, but the pick of his displays came in the Brown Advisory Plate earlier this year, when being narrowly denied by The Storyteller, of Gordon Elliott's battalion. Excellent second to Mister Whitaker in that listed contest at Carlisle last month, when basically ignored in the market beforehand. Has a couple of lengths to find on the winner, who is capable of producing better. This 7yo mare had a good season last year, and looks set to fire again. Unseated jockey halfway round a Novices Chase at Fakenham on Halloween, when sent off a very short price. Pulled up in the Brown Advisory Plate when last seen at Cheltenham, so has much to prove. If he stands up to his fences, he could be in with a shout. First start since April, so will use this as a fitness booster. Other rivals may be sharper, but hard to ignore with some good form in the book from recent years; including fifth in the Brown Advisory here at Cheltenham in March. Another for the former Champion Trainer. Romain De Senam has had two starts since a summer break, finishing fourth and third. The numbers flatter him however, as he finished 25 lengths behind the winner at Aintree last week. Others preferred. Slightly fallen away, after holding such promise when winning the Champion Bumper at the Festival in 2016. Finished a creditable fourth in the Supreme Novice behind Labaik last year, and now races over fences for only the fifth time, having only won on his debut over the larger obstacles. Third on return run, and will look to build. Finished seventh behind Traffic Fluide in the Ascot Sodexo Gold Cup, having been well fancied before hand. Jumping errors prevented a serious challenge, and will look to put that right round the festival venue, which is always tough. Second on return at Wetherby to the Skelton-trained Born Survivor. Has won well round here before, and has an interesting jockey booking. Stays the distance, and holds good each way claims. Not to be confused with the Roger Varian 3yo, this Willie Boy also made his return run at Wetherby almost a month ago - with Ballyandy three lengths down in second. Won some nice features last year, and should not be taken for granted. Hard to fancy with varying performances, and his best only coming in smaller, weaker fields. Could not handle the distance or the conditions in the Ultima Handicap Chase here back in March, and possibly one to put a line through perhaps. Taking significant rise in class, but is in the midst of a purple, and could land the hat-trick in this competitive handicap. Both wins have come at Market Rasen (one dead.heated), but a mountain to climb in terms of the weights.